Often it happens that landlords and house owners are reluctant in hiring a debt recovery company to collect the long outstanding rent. This is generally because of several reasons and a prominent one is that, often they have no idea of whether these companies offer rent collection services or not. Even if they do, they have no idea of how to pick the best company and this is something that we are going to discuss in this post. The first thing you need to see is whether the companies shortlisted by you have any trade commission violations. This is very important indeed because such trade commissions are responsible to look after the functioning of these collection agencies. If there is more than one violation, you should immediately filter that company out. The second very important thing you need to check is the functioning area of the company. Ideally, these debt recovery companies should be operating in all the states and regions, but note that this is no hard and fast rules implemented by the government. But, it would be better if the company has a national presence and is large enough to fulfil the many state requirements. The third very crucial thing to check is whether the company is fully bonded and completely insured. According to the experts, if the company does not carry at least AUD 1 million liability cover and insurance, you should forget about making it your commercial debt recovery partner. Again, this is something not required to operate in this industry in this country. But experts say that the members of such associations would have a different trustworthiness level altogether as compared to the non-members functioning in the same area. Moreover, a member company would show the level of interest and participation the company has in its own industry. One more very important thing to be aware of is the speciality held by the company and what do they hold expertise in. 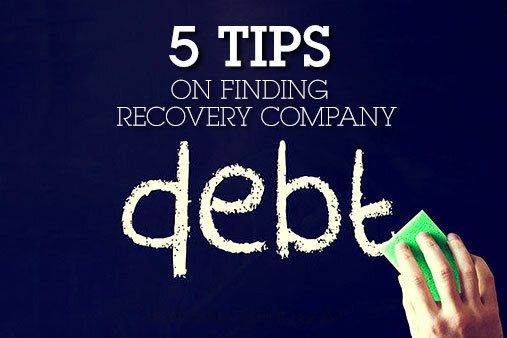 The reason is that upon searching on the Internet, you’ll find a vast list of the types of debt recovery companies. Some of them would be the experts of consumer and commercial debt recovery, while some would be the specialists of auto/home loan recovery. Therefore, it is very useful to be very specific and ask whether they can perform rent collection or not. This is important for one more reason that very seldom, you’ll find a company working dedicatedly for this cause. Does the company collect judgments as well as non-judgment accounts? Do they work the account for the life of the account? Does the agency pre-judge accounts or “rating the paper.”? Does the agency accept collection accounts from independent landlords? Will the company provide you with references from other landlords who use their services?